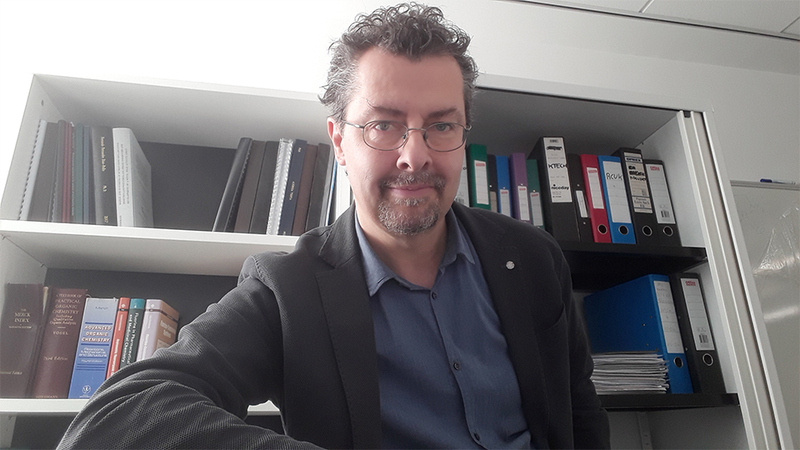 Matteo Zanda, a leading expert in molecular imaging, medicinal and biological chemistry, has joined Loughborough University as Professor of Biomolecular Imaging. Professor Zanda’s research focusses on molecular probes and diagnostics for biomedical imaging, molecular tools for interrogating biological systems and fluoro-organic chemistry. He has joined the University’s School of Science as Director of its Centre for Imaging Science, a research group based in the Department of Chemistry. The Centre’s mission is to develop an interdisciplinary approach to solving scientific, engineering and industrial challenges through innovative imaging and image analysis techniques. Before joining Loughborough, he was a Professor in Medical Technologies and Director of the John Mallard Scottish PET Centre at the University of Aberdeen. Speaking about his new role Professor Zanda said: “There are fantastic new research and teaching facilities here and I am particularly looking forward to working with colleagues at the Centre for Imaging Science to develop world-class research in the area of sensors and imaging. Professor Zanda has been appointed as part of the University’s Excellence100 campaign, which is aiming to recruit up to 100 outstanding academics across a wide range of disciplines.